Longlisted for the prestigious Miles Franklin Award, this “moving account of the depth of ordinary lives” (Library Journal, starred review) tells the story of a young Tasmanian girl and a Danish sailor and the brief encounter that leaves a lasting impact on both. Isla is a lonely girl who moves to Hobart with her mother and brother to try to better their lives. It’s not really working until they meet Bo, a crewman on an Antarctic supply ship, the Nella Dan, who shares stories about his adventures with them—his travels, bird watching, his home in Denmark, and life on board the ship. Isla is struggling to learn what truly matters and who to trust, while this modern Viking is searching to understand his past and to find a place in this world for himself. Though their time together is short, it is enough to change the course of both their lives. Praised for writing that is “vivid and distinct” (Library Journal, starred review) and “exquisite in its simplicity and eloquence” (Kirkus Reviews), Favel Parrett delivers a stunningly beautiful novel—“spare but memorable” (Booklist)—about the remarkable and unexpected bond forged between strangers. We had dinner in the canteen, at a wooden table and the chairs didn’t move. They were stuck to the floor somehow. Mum was quiet, and my brother was quiet, and when we finished eating a man in a white uniform came over and said that the ship was going through the heads soon and that the forecast was for very rough seas. He was only looking at Mum when he spoke. He told her that it was advisable to get the children to bed as soon as possible. My brother fell asleep quickly, his small body tucked in tight on the top bunk. But I lay awake, waiting for the rough seas. Waiting to see what they would feel like so far down. Flights and flights of stairs down from the canteen and from the windows that looked out to the sky. Down where we were, there were no windows. Down where we were, there were only fluoro lights and bunk beds. The bathroom was down the passage and Mum had left us. She was upstairs somewhere, upstairs above us where there was air, and I wished that she would come back. I must have fallen asleep because when I woke the whole world was rocking and shaking and I was rolling in my bed. Not just from side to side, but up and down as well. Mum’s bed was still made. She wasn’t there. When I tried to get out of bed, I fell over and was sick on the floor. My brother was looking at me, his hands stuck fast around the railings of the bunk bed, his face white like death. “Where’s Mum?” he asked, but I didn’t know. He got down somehow, down from the bunk, and he didn’t fall. He stood holding on to the bed as the room turned over and over and he got a towel off Mum’s bed and put it over the vomit on the floor. He helped me up and in our pajamas we made it out the door and into the hall. Together we fell against the walls as the ship lunged, and we slowly moved toward the stairs. Up and up, gripping the rail. Up to the deck where the canteen was. There was hardly anyone around, only a few people sitting in the carpeted lounge, sitting with their heads in their hands. The canteen was empty and I couldn’t tell what time it was. Outside the windows it was dark. Mum was sitting by herself on a bench attached to the wall of the ship under a Plexiglas roof. We sat next to her, holding on to the bottom of the bench tightly. Mum said that she would just have one more cigarette and then we could go inside. I looked at her white face and her white hands. She was always sitting places by herself in the night—always sitting by herself having one more cigarette. I told her that I had been sick and she wiped my forehead and cheek and said, “I’m sorry. I’m so sorry.” It looked like she was crying. She said it was just the sea spray and the cold. And it was cold. It was freezing and windy, and the wind cut into your back like you had no skin at all. I could hear the water crack against the ship, feel it hit then hear the spray shoot up. Only I couldn’t see it. I couldn’t see anything past the light cast out on the deck. Out there the world was raging in the blackness. We were going to a new place. We were sailing toward it in the night. An island in the middle of the sea. An island that was made of stone. It was only the ship that was keeping us safe. Only thin layers of steel and an engine pumping away in the dark were keeping us above the water, which would gladly swallow us all up like we had never ever been. This reading group guide for When the Night Comes includes an introduction, discussion questions, and ideas for enhancing your book club. The suggested questions are intended to help your reading group find new and interesting angles and topics for your discussion. We hope that these ideas will enrich your conversation and increase your enjoyment of the book. Isla is a lonely girl who moves to Hobart with her mother and brother to try to better their lives. 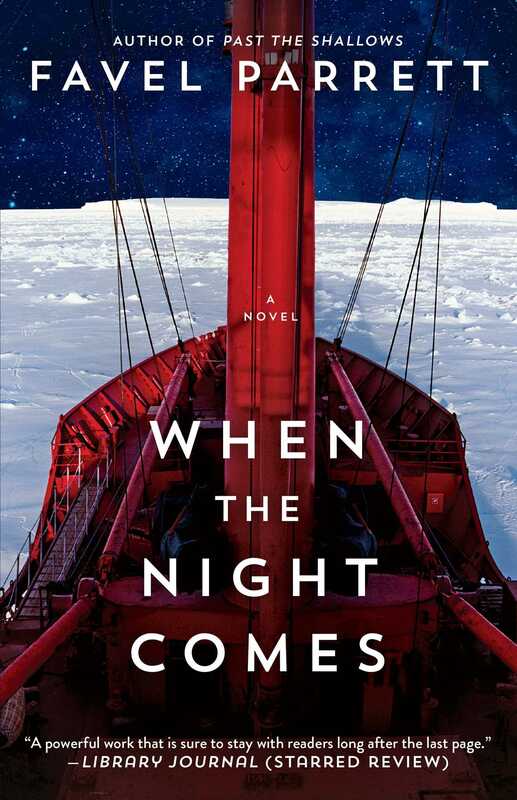 Their efforts are not really working until they meet Bo, a crewman on an Antarctic supply ship, the Nella Dan, who shares stories about his adventures with them—his travels, bird watching, his home in Denmark, and life on board the ship. Isla is struggling to learn what truly matters and who to trust, and this modern Viking is searching to understand his past and find a place in this world for himself. Though their time together is short, it’s enough to change the course of both their lives. And what they give each other might mean they can both eventually find their way home. Praised for writing that is “vivid and distinct” (Library Journal, starred review) and “exquisite in its simplicity and eloquence” (Kirkus Reviews), Favel Parrett delivers a stunningly beautiful novel about the bond forged between two unlikely and unforgettable strangers. 1. Explain the significance of the title of the book. Did your interpretation of the title change as you read? In what ways and why? 2. Despite the title of this work, there is a prevalence of light throughout the text, with numerous descriptions of the sunrise, a mention of Bo’s island always in full light, and even pastries that, to Isla, taste “like sunshine.” What does the sunlight represent to Bo and Isla? 3. Isla’s mother is very mysterious and withdrawn. Her actions aren’t always explained. Why do you think she is this way? What kinds of experiences has she gone through to make her this way? How does Isla’s mother’s temperament affect her relationship with Isla? 4. Parrett begins her novel with a short poem. How did the poem affect your reading of When the Night Comes? How do the lines relate to each of the characters within the novel? 5. When Bo describes the water and how it rages against the ship, he goes into details about its ebbs and flows as if he is describing different moods. How else is the ocean personified in the way Bo and Isla perceive it? 6. The color red is very prominent throughout When the Night Comes. When Isla first sees the Nella Dan , she sees “nothing but red. A bright red wall of steel.” Red appears again when Bo remembers his father’s beard and the red rose Isla tosses into the water for the ship. What is the importance of the color red? What do you think it signifies? 7. Why is Bo drawn to the hill made of stones? What does it symbolize to him? What does he gain upon reaching it? 8. What role does religion play in Isla’s childhood? Does being in a Quaker school affect her upbringing and outlook on the world? In what ways? 9. Not much is said or explored about Bo’s and Isla’s mother’s relationship. Neither Bo nor Isla divulge much about how this relationship both begins and ends. Why do you think Parrett decided to leave such details out of this work? 10. Parrett evokes fairy-tale imagery in this novel through the red apple that Bo relishes; his favorite cake, described by Isla as being like “a fairy tale,”; and the ship being frozen and encased in ice, much like Snow White. What other sorts of fantastical imagery does Parrett use? 11. Ships are often feminized and referred to as female. The Nella Dan is also treated like a human and described as such by the people who are familiar with her. What is it about Nella that has such an emotional impact on those who work on the ship? What kinds of human characteristics do those who are fond of her give her? 12. Childhood memories tend to be very vivid, though not always touched with fondness. Isla’s fond memories of Bo stay with her for the rest of her life, whereas she does not reflect much on her mother or father. What is it about Bo and his influence on her in this particular time in her life that makes such an impression on her? 13. Isla describes her home as cold and stony, whereas Bo is warm and comfortable on the ship. Her home is earthbound whereas his home is on the sea. What do you think constitutes a proper home? Why do both characters feel more comfortable on the ship and see it as more as a home than one on land? 14. Bo and Isla are constantly trying to figure out where their place is in the world. Do you think they ever find what they are looking for? Explain your answer. 1. 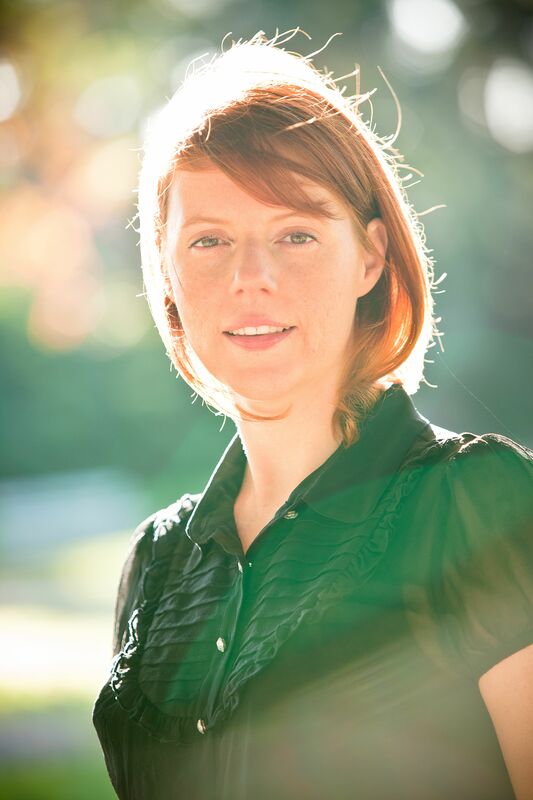 When Parrett’s debut novel, Past the Shallows, was published, she won critical acclaim for her writing that “sings with an emotional power that marks her as a writer to watch” (Library Journal, starred view). Oprah.com praised the novel, calling it “Compulsively readable . . . the simple, unaffected tone of Parrett’s writing makes this a poignant read—but it’s the story of how these two emotionally distant brothers help each other that makes the novel so moving.” Read Past the Shallows with your book club and compare the two novels. Has Parrett’s writing style changed since the release of her debut novel? If so, in what ways? 2. Read the official history of the Nella Dan here: http://www.antarctica.gov.au/about-antarctica/history/transportation/shipping/nella-dan-1962-1987. Why do you think the world reacted so strongly to the decision to scuttle the Nella Dan? Discuss Isla’s relationship to the boat. What does it symbolize for her? 3. In an interview with the Sydney Morning Herald, Parrett says that When the Night Comes is about “kindness.” Read the interview here: http://www.smh.com.au/entertainment/books/favel-parrett-and-the-saga-of-nella-dan-20140818-1059y4.html. Then discuss Parrett’s statement with your book club. What examples of kindness do the characters show each other? Discuss Bo’s relationship with Isla in particular. How does his kindness help her? What are the ultimate results? 4. To learn more about Favel Parrett, read more about her works, and find out if she’ll be in a city near you, visit her official website at http://www.favelparrett.com.au/. “A soulful, fictional homage...An accretion of exquisite moments."